Tomorrow, I’m excited to be going to the Wings Over Wairarapa Airshow. 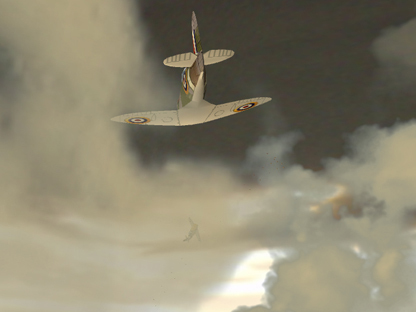 There was even going to be a Spitfire flying, but unfortunately it had a wee hiccup on the landing gear front and crash landed. Anyway, I’m still really looking forward to it. I figured why not get a little local publicity for my game and made a Leaflet for my two awesome kids to proudly hand out at the event. 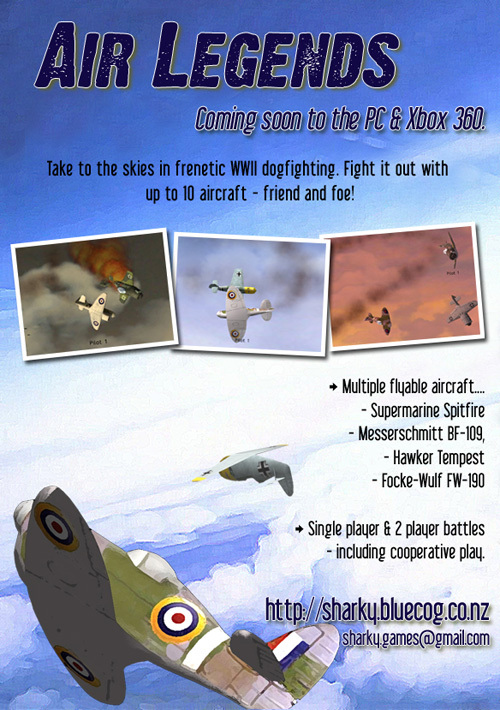 The more observant of you might notice it says “Coming soon” despite the fact “Air Legends” is actually already released on Xbox 360. That is because at present this new Community Games marketplace is still only available on Xbox 360’s in USA, UK, Canada, France, Italy & Spain. More countries will come online as Microsoft enables them. So, now a message to anyone visiting after seeing one of the leaflets. The Full PC game will be available also, for nothing more than a donation. The Xbox 360 version will be available in New Zealand, just as soon as Microsoft enables the new Community Games marketplace here. Hopefully soon – but this is out of my hands unfortunately. 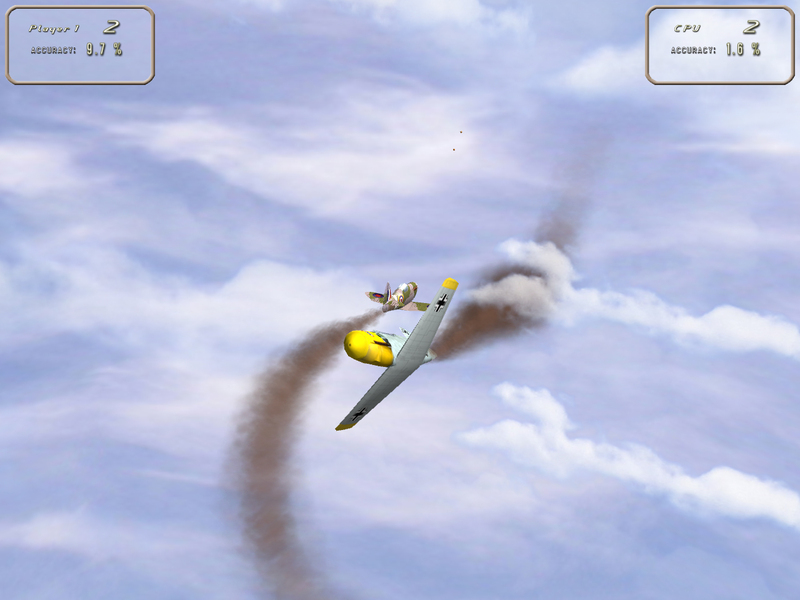 The Xbox 360 version of Air Legends topped the sales charts for the week of 5 Jan 2009! In the meantime, see more of the game here. One word – Busy… busy, busy, busy. Ok, so I cheated on the word count, but that’s how life’s been lately. So much has happened since my last post. In work, play & personal life. I’ll cut to the chase though. Here’s my latest and greatest release of “Air Legends”. You can download it from here. There are major changes in the version. Firstly it’s all converted to XNA 2.0 now, so you’ll need the XNA 2.0 runtime installed (or XNA Game Studio 2.0). Added basic Scoring, and stats. Currently shows Score + accuracy for each player/cpu. the other player in view. 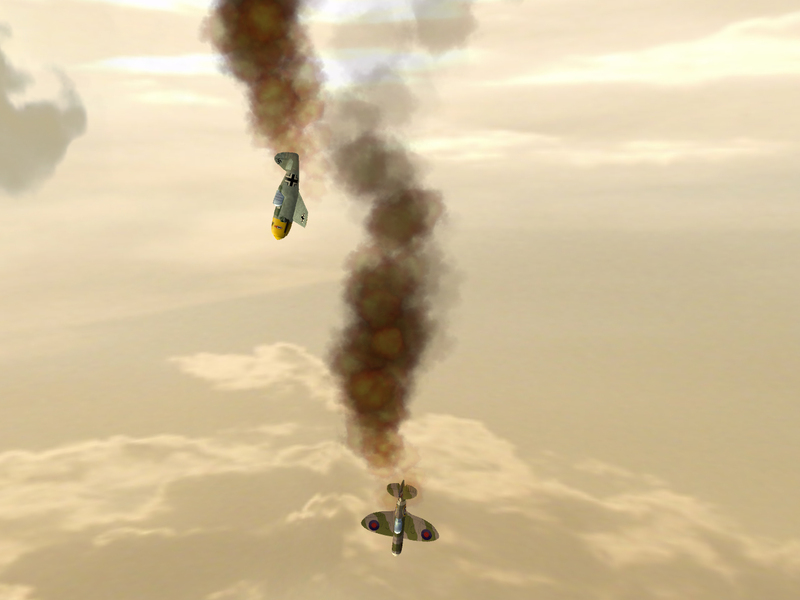 but the BF109 is a little faster. It’s subtle, but should add to the variety. Added an Uninstall shortcut to the Start menu folder. 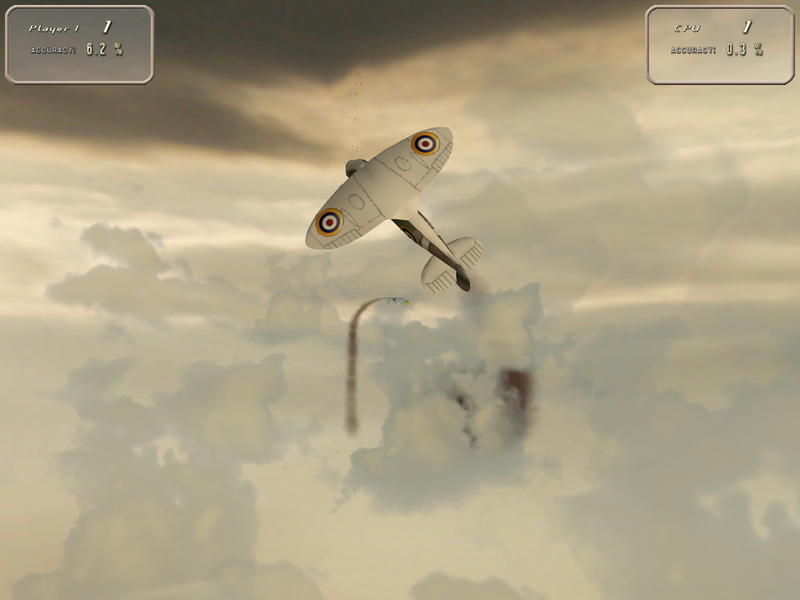 Fixed cloud culling, so clouds no longer instantly vanish while still in view (as they were prone to do before). 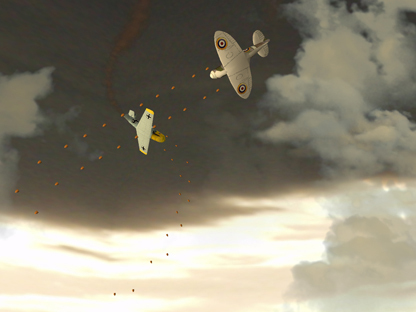 Improved cloud, smoke and explosion rendering to use proper Billboard styles (always facing the camera). Go grab the new version from the Latest Build page here. As always, it’s free! It sure has been a while, but at long last I’m happy to announce my latest “Air Legends” release. Downloadable here. Most notably I’ve fitted proper menus for everything. This was no small task, I might add – quite a bit of code refactoring was needed on my part. Microsoft’s Creators club “GameStateManagement sample” is awesome and forms the basis of all of my screens now. 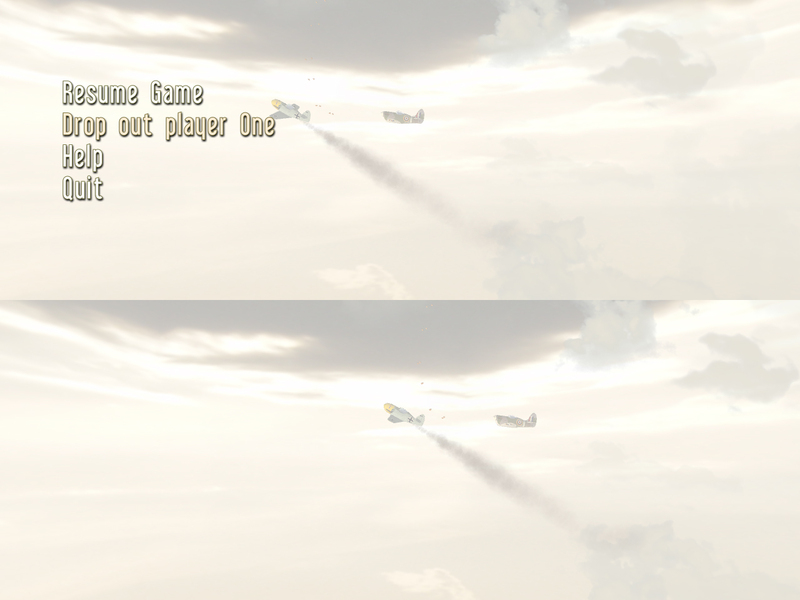 I’ve improved my Skybox, and made the sky textures all seamless. Added a brand new “Morning” scene to play in. Added gun overheating. Sound to come. Replaced numerous uses of photoshopped textures for text, with new SpriteFont textures. 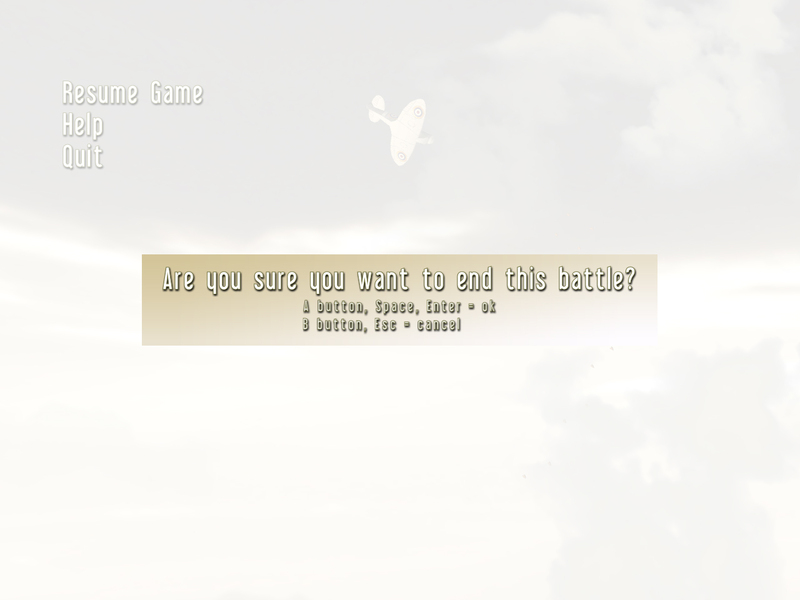 New and improved Lobby screen. Help (aka. 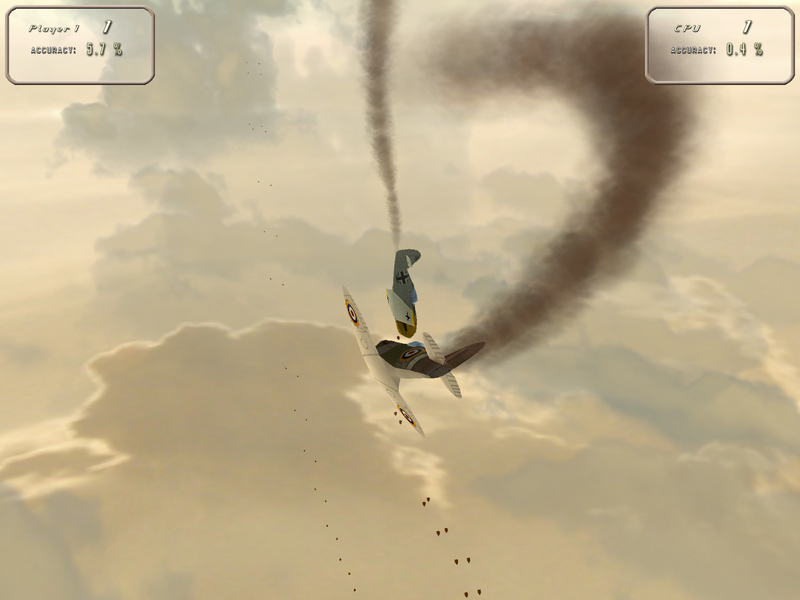 Controls) screen is now accessible while in gameplay from the pause menu. Changed keyboard controls a little. F1 & F2 are now used for dropping in and out instead of 1 & 2. 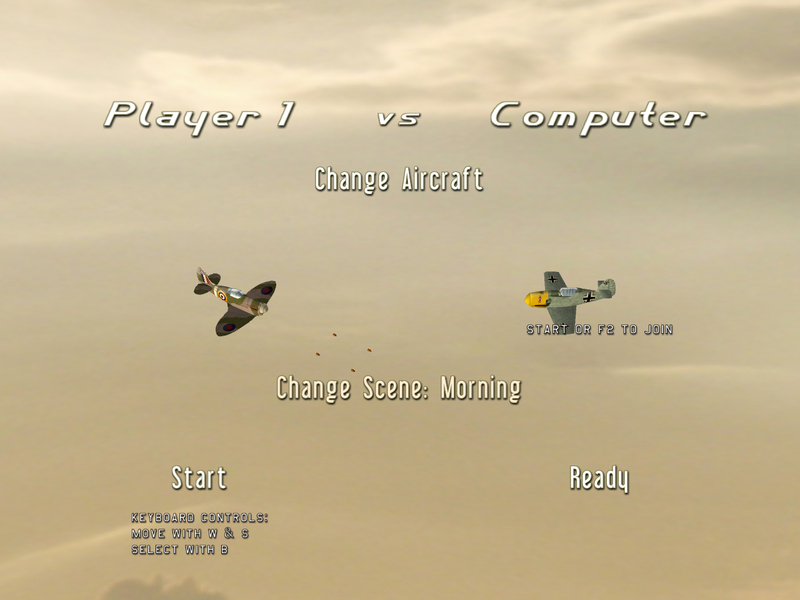 Shifted Player 2 keys along one to avoid confusion with Enter key for menu selection. 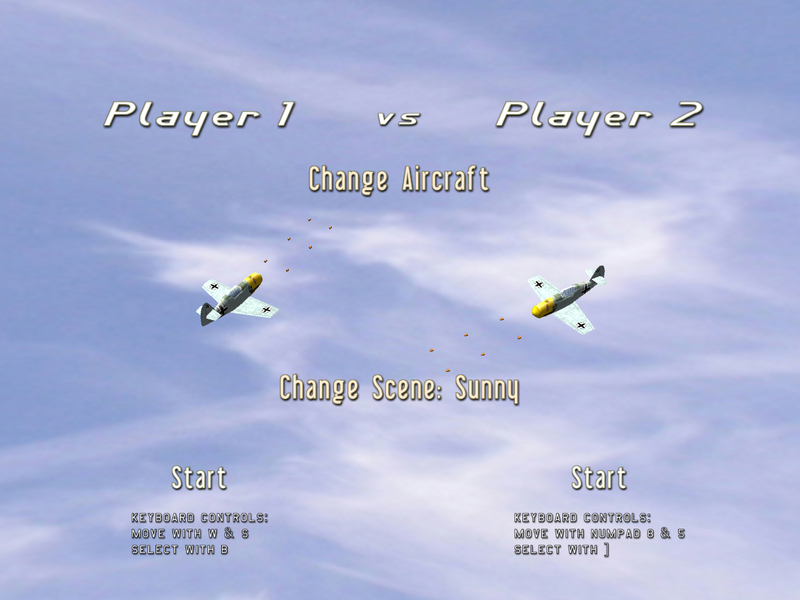 So Player 2 now uses ] for shoot, [ for throttle, P for Skywrite & O for Maneuver. Now based on WiX v3 (Windows Installer XML). Automatically uninstalls older versions already installed. Checks .NET v2.0 is installed. Just a check at this stage. Go grab the new version from the Latest Build page here. It’s free, so no excuses. All models now produced and exported straight out of the new Softimage|XSI Mod Tool. No other tools necessary! 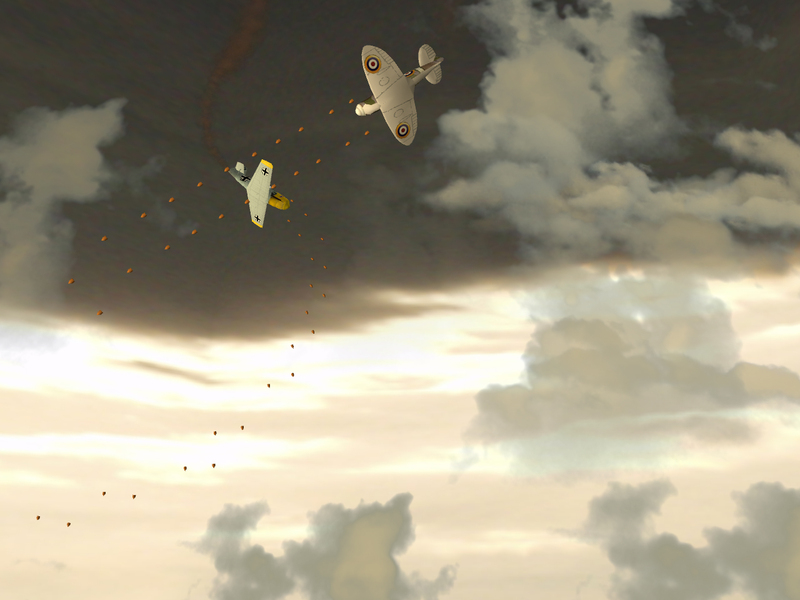 improved the Skybox. Horrid seems are gone. I’ve pulled out some photoshop magic to make the Textures tile nicely, and the box (well cylinder) now has a ceiling, so I don’t have to avoid certain camera angles like before. Guns can now overheat, so controlled bursts recommended. No more bleeding ears from trigger happy kids. 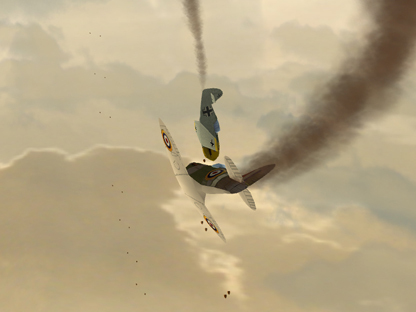 Thanks to the skybox improvements, your aircraft should no longer leave the screen occasionally. Well maybe very briefly during some maneuvers, but good enough for now. On another note, CrazySheep has asked me about how to create a Windows Installer. 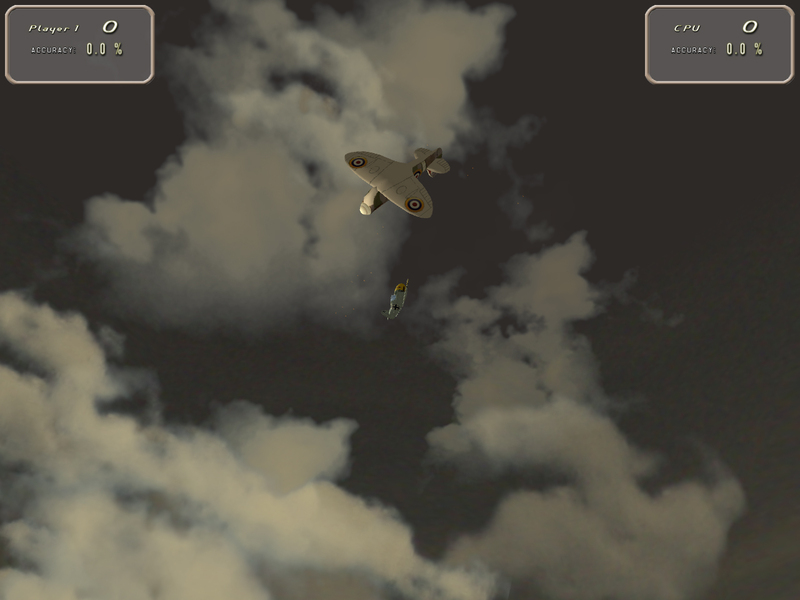 Good idea, so I plan to blog a wee article/tutorial + sample about my “Air Legends” installer. (If I blog about it now, I’ll be forced to actually do it!). Before I do that I plan to update my installer from WiX v2 to WiX v3, and do a couple of improvements on the way. You are currently browsing the archives for the WiX category.